To make a long story not quite so long, I'm just trying to see what advice you guys can give me before I go and make another 50k dollar mistake. In a perfect world I'd be able to just take it to BMW and let them do a courtesy inspection but I was informed last time that they will not do a courtesy inspection if I do not own the vehicle yet. I may just ask them if they would be willing to have it inspected by a certified BMW dealership to give me a little peace of mind. Never hurts to ask I guess. Anyway, thanks in advance for all you guys help. If there's anything else I should definitely look for please let me know. you understand that the 'certified' is a sham visual inspection, and an exteded warranty? Tires and brakes over 50% and a glossy detail. DO NOT assume that the car has no issues. Ive also heard of dealers slapping pads only on a car to get it to CPO- and not replacing rotors. Ive also heard of them passing stuff under 50%, then the owner comes back and they say "hey, was fine when we inspected it." Typically only the best cherries get CPOd- costs the dealer less to do it. BUT- not always. Some dogs get into the CPO and BMWNA will NOT stand with you if the dealer is cutting corners. Trust me I have no problem paying a 3rd party to have a look at the car. I just figure it would easier to convince them to let me take the car to an actual BMW dealership as opposed to Joe Schmo's Car Fixer. I guess all that's left is for the to take that good two hour drive so I can actually put my eyes on it and convince to get some type of unbiased inspection done on it. And I couldn't agree with you more, the whole CPO is absolute shame! I bout my Ford Edge as a CPO, paid the premium for it, and it is an absolute piece of junk that is plagued with more problems than the 2005 Ford Escape it replaced. So yeah I'll never fall for that again. But this car isn't a CPO it's only a "certified one owner" car through carfax...which I also think is a joke. 2hr drive is nothing, if you are willing to spend this much money i would even drive 8hrs to see it. The triangle could mean something small, like washer fluid low. Its just an indicator that tells you there is a message you should look at. Not to be confused with the big triangle of the traction control system, which will be where the P is. The triangle with ! could be anything from seat belt reminder to low gas warning to service due, etc. etc. You can go to vehicle status in iDrive and check. Is it a BMW dealer? 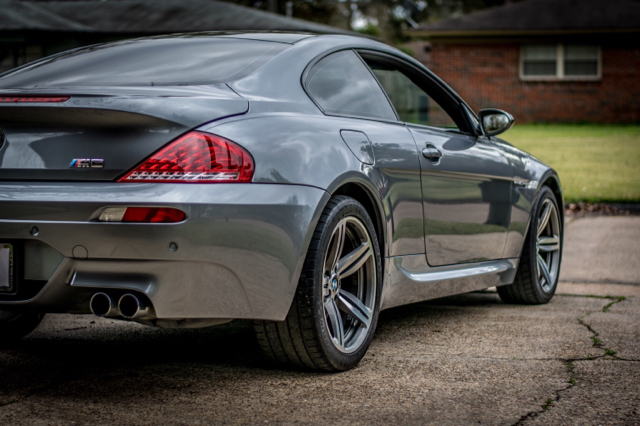 I wouldn't buy an M from non-BMW dealer w/o original warranty. 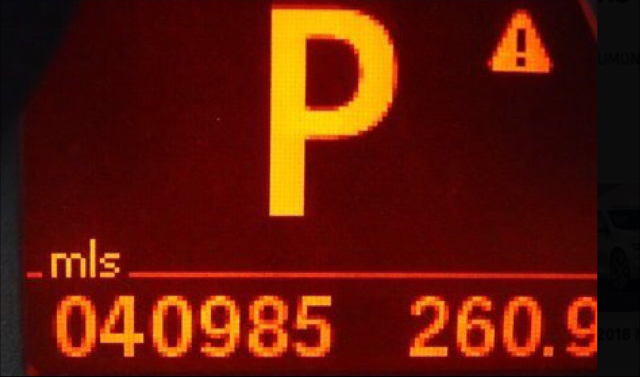 The CPO status has to be verified with BMW. And I wouldn't worry much re wheels, if anything, you can always get a nice set of aftermarket forget ones or whatever.
. But this car isn't a CPO it's only a "certified one owner" car through carfax...which I also think is a joke. Finally, now that I am re-parsing the OP...is this a BMW dealer selling it, or something else? That's a big check on the triangle. The M6 had a manual transmission so I guess it looks a little different. But to answer a few questions, it is not at a BMW dealership and I asked about the warranty when I first talked to the guy and he said that typically it's only four years so if it does still have one, there isn't much time left on it. So it looks like I'm just going to go ahead and take this two hour drive and see what the guy has to say and to look at a few things myself. I'll let the determining factor be if they will be willing to let a Indy dealer do a PPI for me. If they say no, then I walk. Simple as that. My M6 had a problem with the EDC which would also randomly turn off the traction control. I don't know how many of you have driven a 500hp car in the rain without traction control but it's not a nice feeling. I'll keep everybody up to date and keep my fingers crossed that this doesn't turn into another fiasco. if I was you, i would ask for the VIN number and then with that number I would stop by a BMW dealership and ask them 'pretty' for all the records they have on that particular car. Been down that round before a few times. Both times they told me that unless I am the registered owner they can not give me any information about the car. I ended up scrapping the whole idea after driving for two hours to get home there after work(mind you I've been working 12 hours nights nonstop for the past month). And even after tell them three times I would be coming, somehow the GM supposedly need to take the car to a doctors appointment and somehow they ended up having to admit him to the hospital. It could've been true. 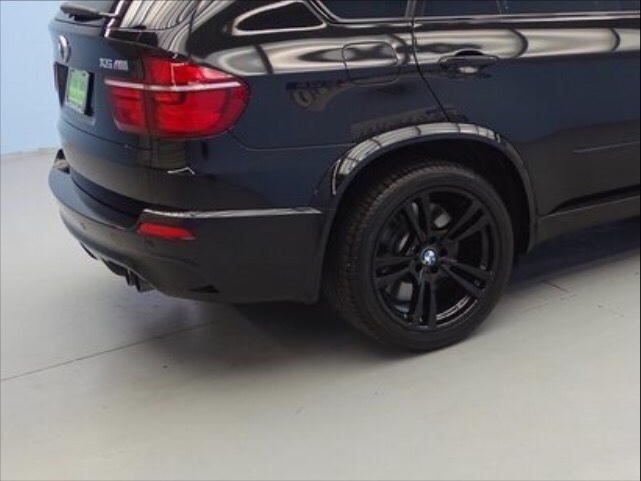 I mean if I owned a car lot and could basically take any car I wanted I'd probably take the X5M too (although there was two others to choose from as well as two Porsche Cayenne GTS Turbo). Either way, they didn't get my 370Z I was trading in nor my money and will not be getting either in the future. I figured I'll just wait until I can find a "un-modified" one with every option I want and also save some more money to put down in the meanwhile.